It’s not terribly often that I venture outside of Dallas because..well, quite frankly, I don’t have to. 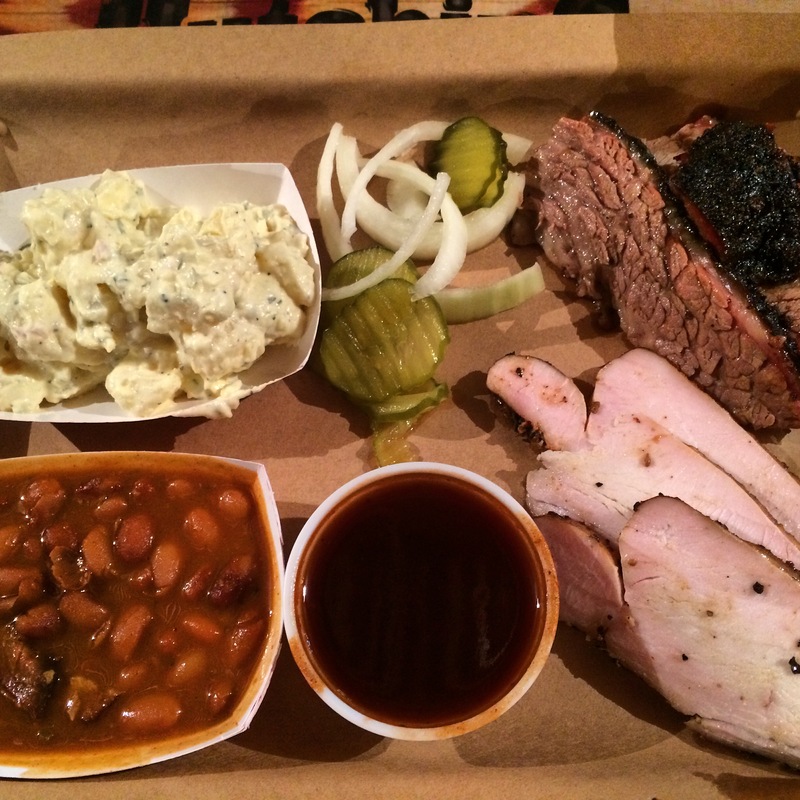 All of that changed a few weeks ago when I ventured up to McKinney to check out Hutchins BBQ and now I will admit, I DO have a reason to leave Dallas. In a sort of industrial area, barn-style Hutchins BBQ lights up the night sky with a blazingly huge sign that makes you want to step inside. Just like any good ol’ Southern restaurant, you are immediately greeted with a smile and an endless selection of damn good BBQ. Their brisket is cooked for 17-18 HOURS over Oak and then rests on Pecan wood which gives it an absolutely incredible flavor. I might just throw out the fact that Hutchins moved into my first place spot of the best brisket in the area and y’all know I don’t stay that lightly. Not only is their brisket too legit to quit, they hand make between 150 and 200 POUNDS of sausage each morning. Keeping with tradition and wanting to ensure that great BBQ can be had by all, Hutchins offers an $18.99 all you can eat special and each and every patron gets free dessert because…well, just because! So, whether you are in the area or not, make a point to stop into Hutchins BBQ, will ya? I promise you won’t leave disappointed or hungry! Insider tip: Hutchins is BYOB so bring along your favorite adult beverage!